If the patient is the same, I would say wow! (in the before photo, the crown is much balder than in the after photos). Dr. Hitzig, do you have a “before picture” with a broader scope, for example, to see the ears, so that we can see that is the same person? -There is clearly new hair in the revised scar. Much better than the previous photos by Hitzig. But still can’t be seen if it is the same person (B&A). In the last pic, colour of the hair seems to be different. » -There is clearly new hair in the revised scar. » Much better than the previous photos by Hitzig. » But still can’t be seen if it is the same person (B&A). to be fair its kinda pointless bringing up a thread from the past, it doesnt matter what has gone before with regards to Acell everyone will no concentrate on what Jerry Cooley produces in the coming months. No point in pre juding the outcome to either dis credit or promote the technique just wait for the facts as they are produced. This is to big to now to many doctors are interested so it very much limits any opportunity to deceive. Wow, does Dr. Hitzig use the same Acell compound as Cooley? Any idiot can see the scar has been revised and a few grafts places in it. This is something any surgeon can do. 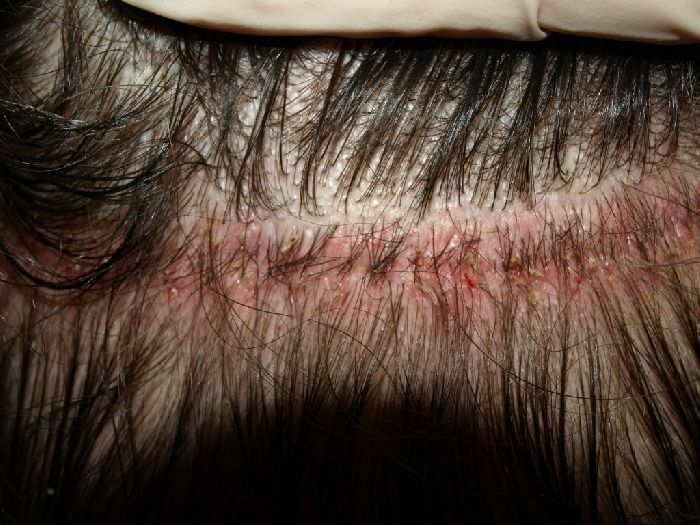 He may have used acell to help heal the wound but hve not grown those new hairs in the scar. 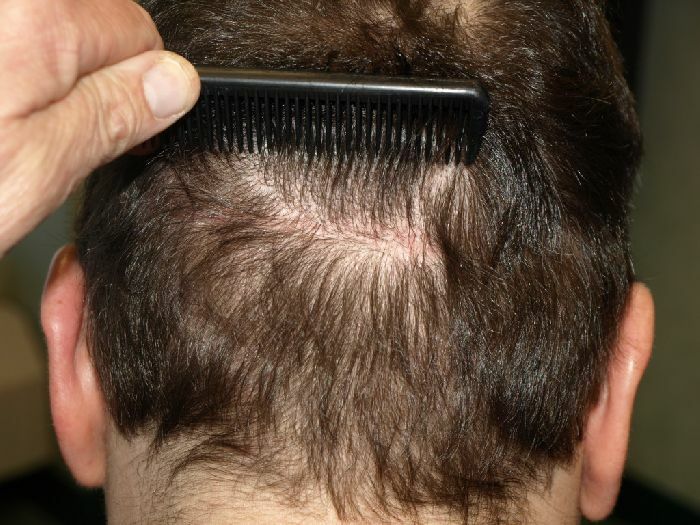 This can also be achieved with a tri closure. » Any idiot can see the scar has been revised and a few grafts places in it. » This is something any surgeon can do. » hairs in the scar. » This can also be achieved with a tri closure. That’s exactly what I wanted to ask, was a scar revision done? If he did remove the old scar then not so impressive (granted the healing seemed superb), if however there was no scar revision done then this is very impressive. celt, these are brand new pictures just posted by Hairsite. » doctors are interested so it very much limits any opportunity to deceive. NeverAgain, I meant that the guy in the before photo seems different that the guy in the after photo. 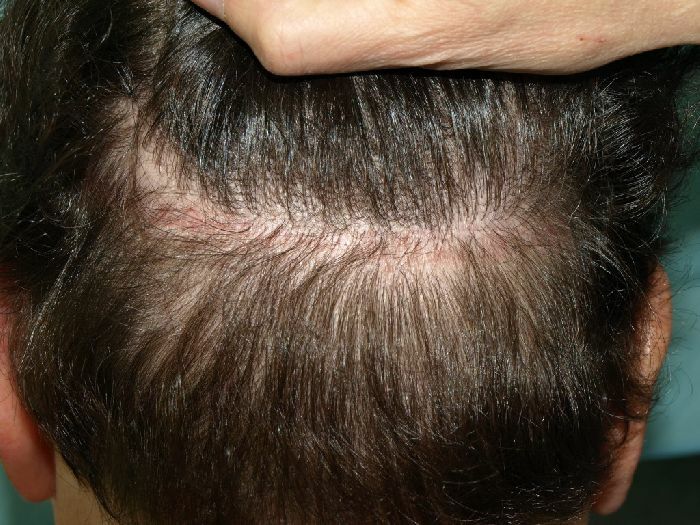 In the before photo the crown looks balder than in the after photos. Also, as baldbaby says, the hair colour seems changing several times across the photos. Maybe is the lighting, or maybe the subject dyed his hair. The title of this thread says “scar repair”. Its the title chosen by Hairsite. So it seems clear that it is a scar revision. Cooley also showed scar revisions in the slide presentation. 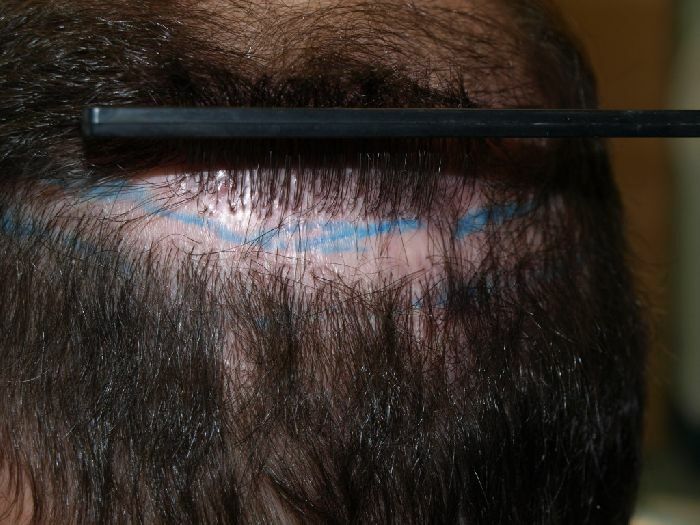 I am no expert about scar revisions, so I can’t judge this time. 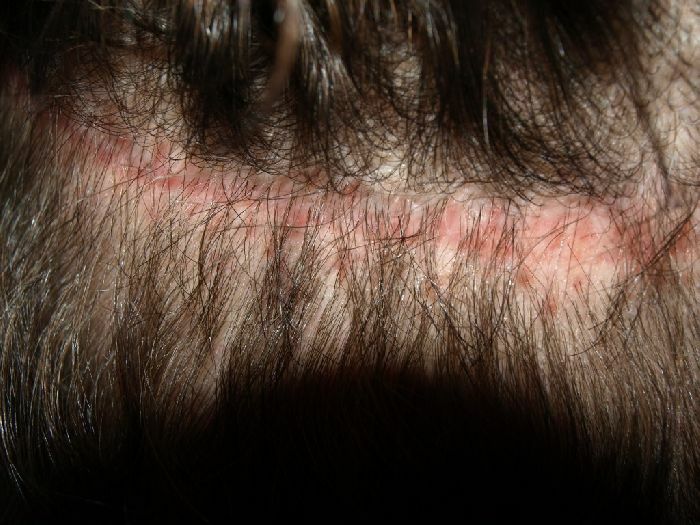 There are hairs in the revised scar. 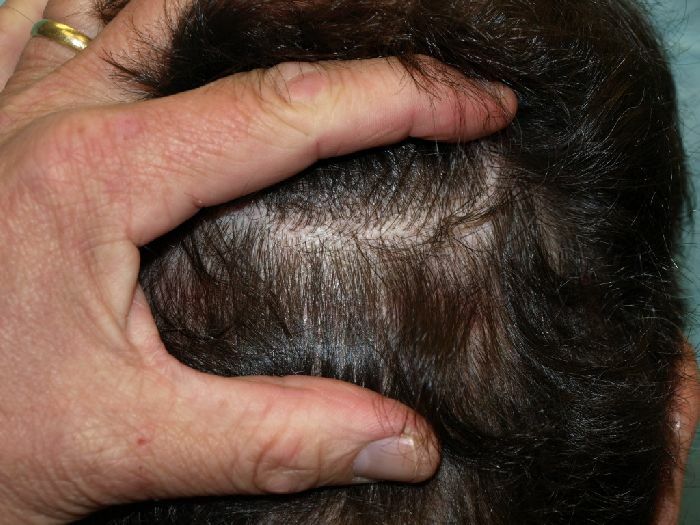 Newborn hairs, that appeared as the scar healed, due to Acell? Grafts moved by normal FUT? The sequence of photos seems to depict the evolution across the 8-months time. The redness only appears in the first photos. At least the pictures are good, not like the pityful previous ones. » » This is something any surgeon can do. » » hairs in the scar. » » This can also be achieved with a tri closure. Sorry, I do not have a lot of information about the pictures posted here. However, Dr. Hitzig has agreed to do a small Q&A to answer some of the questions pertaining to Acell, Beard Hair Cloning, and PRP. You can post your questions to Dr. Hitzig in the new thread.